Flowers serve as muses not only to the artists but for everyone who take a minute to stop and observe them – the breathtaking intricate details of the stamen, the stalk, the veins of the petals. And so, the theme of this week’s Toehold Power of Photography Contest is ‘Flowers’! Share with us some brilliant images you have made depicting the theme! The Contest is open from today, 26 November, until Sunday, 2 December. And if our Moderators are impressed, you can walk away with a cool prize, a Rs. 2000/- voucher that’s redeemable against any of our services! The winner image will adorn the cover of our Toehold Network, too! 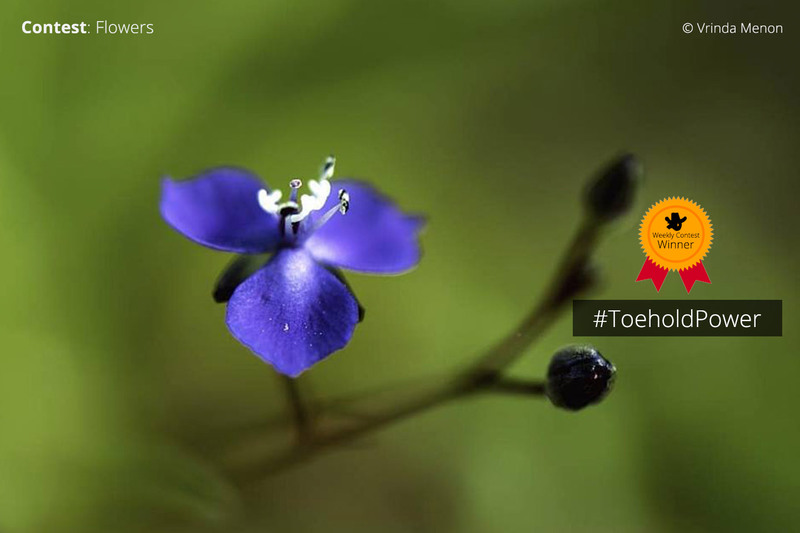 — Do NOT forget to add the hashtags #ToeholdPower and #Flowers! That’s the only way we can find your entry to this contest. That’s it! The deadline for the contest is 11:59 p.m. IST on 2 December. Winners will be picked and announced by 5 December, Wednesday! The winner of last week’s Power of Photography Contest with the theme ‘Flowers’ is here! This delightful image is made by Vrinda Menon!